If you guys have been reading my blog posts for long then you might already know that I'm a perfume junkie and I'm always trying new perfumes every now and then. So, few years back I heard someone on YouTube raving about this perfume so I ordered me a miniature set. This is the best way to find out whether u gonna like the fragrance or not; just buy testers/miniatures and test them for a while, and then go for the bigger version if you liked the fragrance. This perfume is absolutely exquisite, very feminine and delightful! I loved this luxurious scent and it smells really floral and is quite intense. A spritz of this in the morning is enough to make you feel sophisticated, elegant, bright and warm all at once, how cool is that! And it gets cleaner & fresher the longer I wear it (it seems to get better the longer it's on). Sillage or lasting power of this perfume is above average. It lasts a good 6-8 hours on my skin and that's why this perfume is definitely one of my top 5 perfumes that I own. 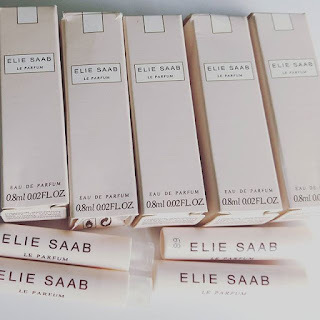 Would I recommend Elie Saab Le Parfum? Yes, I would highly recommend this scent if you love white florals & especially orange blossom. But then again, it’s not going to please everyone coz it’s just not one of those scents. And that's why I always, always say never to buy a fragrance without sniffing it. So, don't take my words for it just try it before you buy it. Note: The fragrance also comes in body lotion, body cream, shower cream, and EDT form. Yes, I'm already looking forward to buying bigger version of this one! 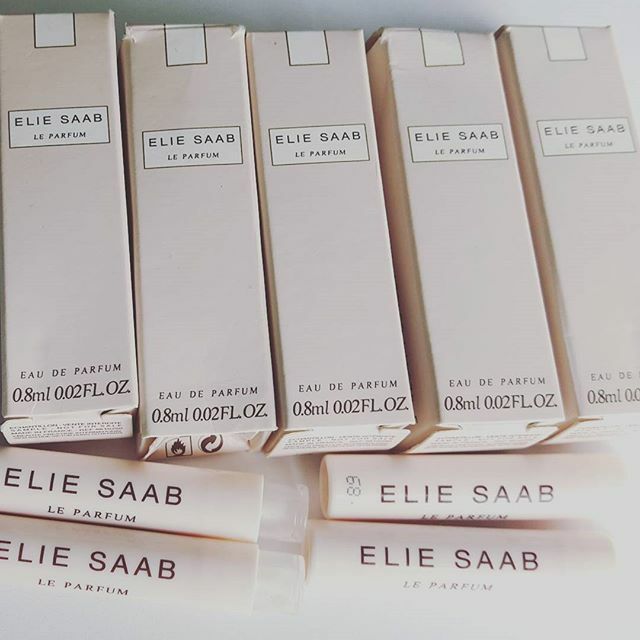 What are your thoughts about Elie Saab Le Parfum?